the rebuilding of Christchurch Hospital with the Riverside ward block. He was also instrumental in the establishment of the Christchurch Clinical School of Medicine and the Canterbury Medical Research Foundation. As one of the city's first specialist obstetricians and gynaecologists he contributed to significant improvements in maternal welfare in the 1920s and 1930s. He was medical officer of the Christchurch St Helens Hospital and led the campaign to build what later became Christchurch Women's Hospital. 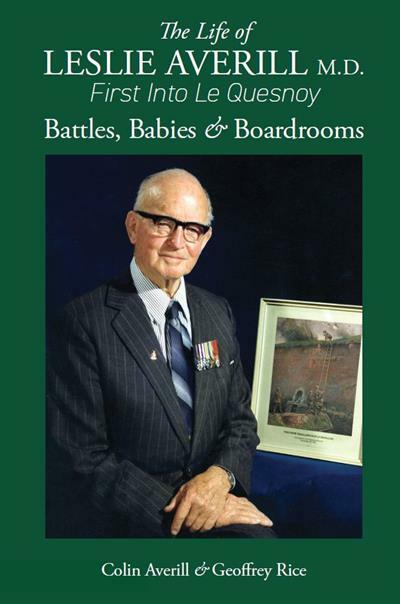 For many years he was chairman of the Executive of St George's Private Hospital. efforts to foster a cordial relationship between this town and New Zealand was recognised by his appointment as a Chevalier of the French Legion of Honour. He has been remembered in Le Quesnoy by the naming of a street and a school after 'le Docteur Averill'. 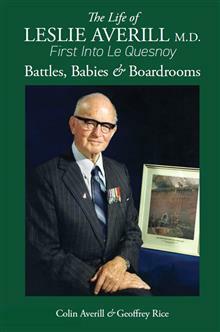 Co-author Colin Averill has written a rich and interesting family history while historian Geoffrey Rice has researched the public career from archives and newspapers. Many of the photographs are here published for the first time"--Back cover. COLIN AVERILL is a retired lawyer. He became a partner in the Christchurch law firm of Ronaldson Wylie and Averill in 1961. Following a merger with Lane Neave in 1983 he was then chairman of that firm for five years, remaining a partner or full-time consultant until 2002. He was active in the NZ Law Society at both provincial and national levels and was chairman of the Nurse Maude Association for nine years. He has also chaired the University of Canterbury Foundation and served on the boards of Medbury School, Christ's College and several public companies. GEOFFREY RICE is Emeritus Professor of History at the University of Canterbury, where he lectured for nearly forty years and was Head of Department before his retirement in 2012. He has published 15 books (10 with Canterbury University Press), 34 academic articles and chapters, and over 60 other articles, reviews and encyclopedia entries. He is a leading scholar of the 1918 influenza pandemic and its social impact on New Zealand.